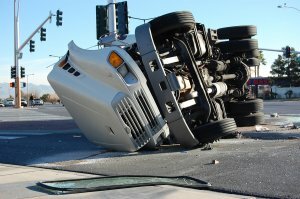 A car accident lawyer near Riverside, CA, handles cases of auto collisions involving commercial trucks . Sadly, trucking accidents almost always result in serious personal injuries, simply because trucks are enormous vehicles. When a trucker loses control, the results can be devastating. If you are hurt in a trucking accident, contact a personal injury lawyer as soon as you can. Continue reading to find out why trucker fatigue, speeding, and distracted driving cause trucking accidents. Driver fatigue is one of the leading causes of trucking accidents. As a personal injury lawyer knows, state and federal laws regulate the number of hours each trucker can drive per day. Unfortunately, many trucking companies and drivers ignore these rules. Another cause of trucking accidents involves speeding. Truckers are almost always in a hurry to get to the next destination, and truck drivers often seriously exceed the speed limit, causing major auto accidents. Distracted driving is another cause of personal injury and visits to personal injury law firms, and may occur if a driver uses a cell phone to talk or text, or adjusts the ratio. Even though driving a car is something many people do every day without incident, accidents can happen at any time. There were roughly 3,000 fatalities due to auto accidents in California in 2013, an increase of over one percent from the previous year. 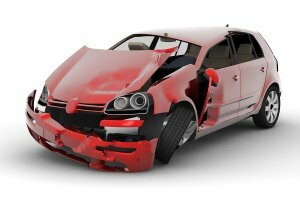 If you or someone you love has been injured or even killed as a result of an auto accident, you need an accident lawyer near Riverside to represent you and your rights. Accidents can be caused by negligence, unsafe driving conditions, alcohol or drug impairment, and more. 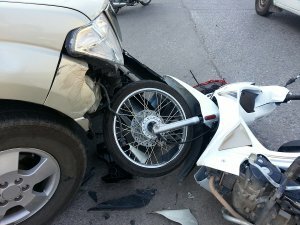 Take a look at this infographic to learn more about the statistics and changes in car and motorcycle accidents in California. Please share with your friends and family, and remember to stay safe on the road.